As soon as the first tooth grows into the mouth it should be brushed. Actually even before that it is important to wipe the inside of your baby’s mouth with a clean cloth twice a day to remove bacteria and allow them to adjust to the process of cleaning. The easiest way to brush your baby’s teeth is to place them in a secure position such as in your lap or on the bed or change table. Gentle wrap an arm around and cup the chin to support their head, while gently opening their mouth. 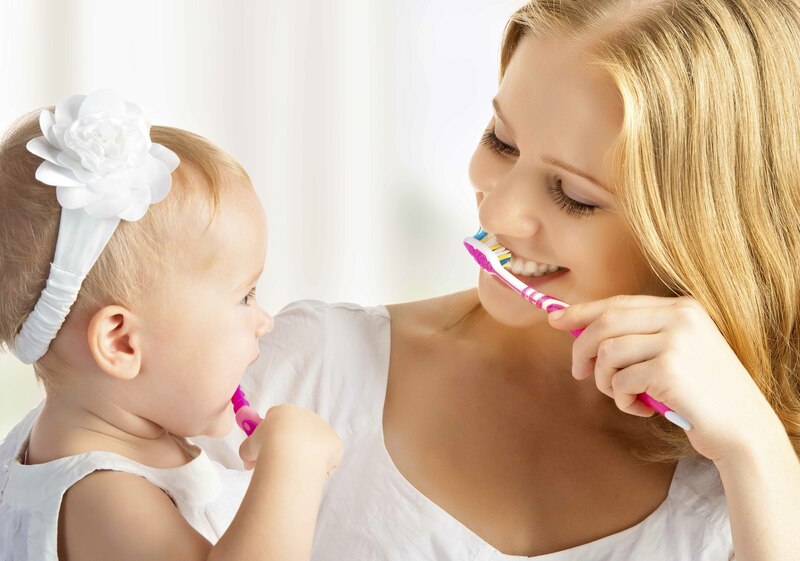 This should be done twice a day using a soft child’s toothbrush in gentle, circular motions with plain water (avoid any toothpaste for the first 18 months). It may seem over the top but baby teeth also need to be flossed daily to avoid developing decay as without flossing only half of the mouth is being cleaned. If you are having difficulties flossing your child’s teeth your Medland dentist and hygienist would happily provide some tips on the best technique. Your baby may fuss and provide some resistance but it is important to remember the big picture – maintaining a healthy mouth for life. This is even more crucial through the Terrible Twos as most children simply won’t let you near their mouth and will put up a fight. Remember during the tantrums – the alternative of severe dental problems is much worse. The key for toddlers is to make brushing and flossing a fun game. Some ideas include playing a song, using fun products such as singing toothbrushes or funny toothbrush holders, leading by your own example and using a (non-food related) rewards chart. Children should use a low-fluoide child’s toothpaste until 6 years old. It is important to remember that children don’t develop the dexterity to appropriately clean their teeth until 8 years old, so prior to that a parent must ‘check’, or really clean their teeth for them at least once a day. 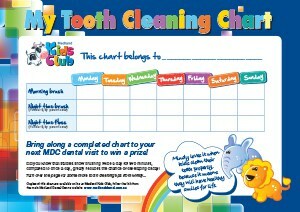 Download our Medland Kids Club Brushing and Flossing Chart to help your child have a healthy mouth for life. Not a member of Kids Club? Sign up now or invite a friend. 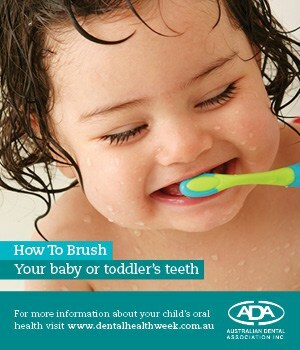 Further information can be obtained from the Australian Dental Association's Factsheet on "How to Brush".